Get some cultural insight at Assen's Fortress and Koprivshtitsa. Visit Chiesa SS. Constantin e Elena and St. Bogoroditsa Petrichka Church for their historical value. Change things up with a short trip to Villa Yustina Winery in Ustina (about 34 minutes away). There's still lots to do: examine the collection at Ethnographic Museum, explore the ancient world of Hisarja, test your team's savvy at popular escape rooms, and appreciate the history behind Alyosha Soviet Army Memorial. To see where to stay, maps, ratings, and other tourist information, you can read our Plovdiv trip itinerary maker. Paphos, Cyprus to Plovdiv is an approximately 10.5-hour flight. You can also drive. Expect little chillier temperatures when traveling from Paphos in April; daily highs in Plovdiv reach 20°C and lows reach 7°C. Cap off your sightseeing on the 27th (Thu) early enough to catcht the bus to Smolyan. Explore hidden gems such as Pamporovo Ski Resort and FunPark Pamporovo. 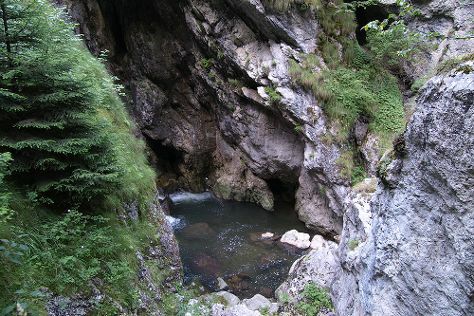 Take a break from the city and head to Diavolsko Garlo- The Devil's Throat and Yagodinska peshtera. For other places to visit, photos, and tourist information, read Smolyan trip itinerary planner. Traveling by bus from Plovdiv to Smolyan takes 1.5 hours. Alternatively, you can drive; or drive. Wrap up your sightseeing on the 1st (Mon) early enough to drive to Bansko. Escape the urban bustle at Vihren and TwoHeads - Day Tours. 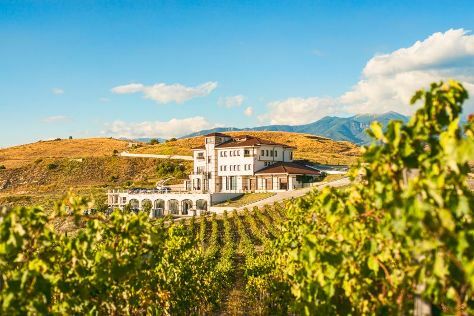 You'll discover tucked-away gems like Villa Melnik Winery and MTB Bansko. 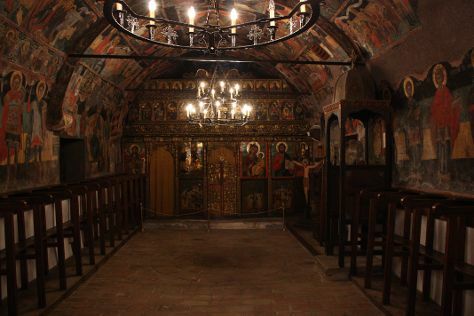 Go for a jaunt from Bansko to Melnik to see Rozhen Monastery about 1h 50 min away. Next up on the itinerary: admire nature's wide array of creatures at Dancing Bears Park and don't miss a visit to Bezbog - peak in Pirin Mountains. To find other places to visit, reviews, where to stay, and tourist information, refer to the Bansko holiday planner. Getting from Smolyan to Bansko by car takes about 3.5 hours. Other options: drive; or take a bus. Wrap up your sightseeing by early afternoon on the 4th (Thu) to allow enough time to drive to Nessebar. Start off your visit on the 5th (Fri): take in the architecture and atmosphere at Church of St. Blaise, examine the collection at Nessebar Archaeological Museum, admire the landmark architecture of Church of Christ Pantocrator, pause for some serene contemplation at St Stephens Church, then admire the striking features of Church of the Assumption, and finally take in the architecture and atmosphere at Church of the Holy Archangels Michael and Gabriel. 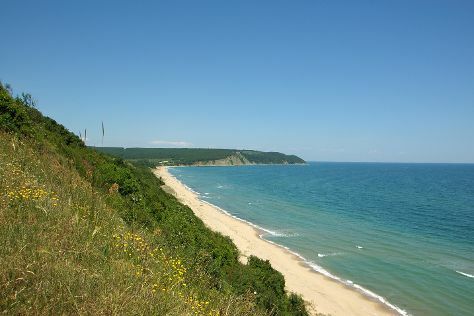 On the 6th (Sat), you'll have a packed day of sightseeing: kick back and relax at Irakli Beach. To find more things to do, maps, and more tourist information, you can read our Nessebar itinerary builder. Getting from Bansko to Nessebar by car takes about 5 hours. Other options: fly; or take a bus. In May, daily temperatures in Nessebar can reach 25°C, while at night they dip to 13°C. Finish up your sightseeing early on the 6th (Sat) so you can travel to Kavarna. Kavarna is a Black Sea coastal town and seaside resort in the Dobruja region of northeastern Bulgaria. 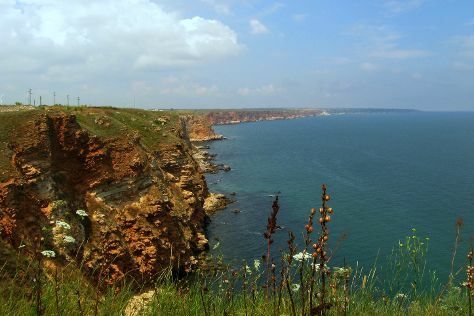 Kick off your visit on the 7th (Sun): go for a walk through Kaliakra and then kick back and relax at Cape Kaliakra. For ratings, where to stay, and other tourist information, read Kavarna holiday planner. Traveling by car from Nessebar to Kavarna takes 3 hours. May in Kavarna sees daily highs of 25°C and lows of 12°C at night. Cap off your sightseeing on the 7th (Sun) early enough to travel to Varna. Visit Pliska National Historical Archaeological Reserve and Stone Forest for their historical value. 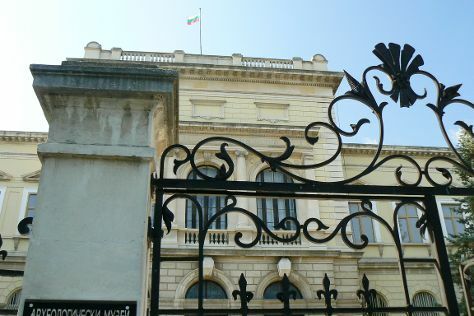 Explore hidden gems such as Varna Archaeological Museum and Ретро Музей/Retro Museum. Step out of Varna to go to Shumen and see Madara Rider, which is approximately 1h 45 min away. The adventure continues: try to win big at Hotel International Casino, learn about all things military at National Maritime Museum, contemplate in the serene atmosphere at Monastery of Saints Constantine and Helena, and get a taste of the local shopping with Tina Art Shop. To find traveler tips, maps, other places to visit, and other tourist information, go to the Varna trip itinerary maker. Drive from Kavarna to Varna in an hour. Expect a daytime high around 25°C in May, and nighttime lows around 12°C. Wrap up your sightseeing on the 13th (Sat) to allow time to drive to Veliko Tarnovo. Veliko Tarnovo is a city in north central Bulgaria and the administrative centre of Veliko Tarnovo Province.Often referred to as the "City of the Tsars", Veliko Tarnovo is located on the Yantra River and is famously known as the historical capital of the Second Bulgarian Empire, attracting many tourists with its unique architecture. Kick off your visit on the 13th (Sat): see the interesting displays at Architectural-Ethnographic Complex ETAR, contemplate in the serene atmosphere at Forty Martyrs Church, then pause for some serene contemplation at Chiesa della Nativita, and finally appreciate the history behind Asen's Monument. Keep things going the next day: examine the collection at Konstantsalieva House, delve into the distant past at Nicopolis ad Istrum, then make a trip to Samovodska Charshiya Complex, and finally don't miss a visit to Preobrazhenski manastir / Monastery of the Holy Transfiguration of God. For other places to visit, more things to do, and other tourist information, go to the Veliko Tarnovo itinerary builder. Drive from Varna to Veliko Tarnovo in 3 hours. Alternatively, you can drive; or take a bus. Expect a daytime high around 26°C in May, and nighttime lows around 14°C. 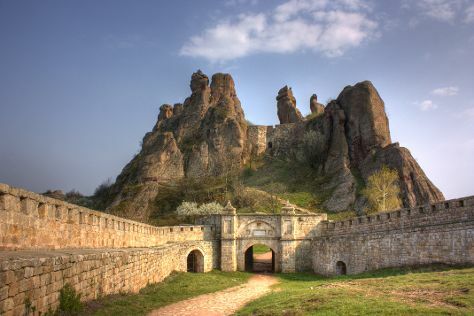 Finish up your sightseeing early on the 15th (Mon) so you can go by car to Belogradchik. Belogradchik is a town in Vidin Province, Northwestern Bulgaria, the administrative centre of the homonymous Belogradchik Municipality. To find photos, ratings, where to stay, and tourist information, read our Belogradchik travel itinerary creator. Drive from Veliko Tarnovo to Belogradchik in 5 hours. Alternatively, you can drive; or take a bus. May in Belogradchik sees daily highs of 27°C and lows of 13°C at night. Wrap up your sightseeing on the 15th (Mon) early enough to drive to Sofia. 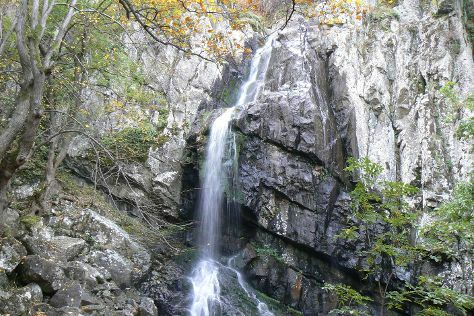 You'll discover tucked-away gems like National Historical Museum and Boyana Waterfall. Sveti Sedmochislenitsi Church and Saint Nikolai Sofiyski will appeal to history buffs. Change things up with these side-trips from Sofia: Vratsa (Ledenika Cave & “Vrachanski Balkan” Nature Park), Dimitar Peshev Museum (in Kyustendil) and Krakra Fortress (in Pernik). And it doesn't end there: pause for some serene contemplation at Sveta Petka Samardjiyska, take an in-depth tour of National Museum of Natural History, explore and take pictures at Sofia University "St. Kliment Ohridski", and take in the exciting artwork at Art Shop Hand Made. To find traveler tips, more things to do, where to stay, and more tourist information, read our Sofia trip itinerary builder. You can drive from Belogradchik to Sofia in 3 hours. Other options are to drive; or take a bus. In May in Sofia, expect temperatures between 26°C during the day and 11°C at night. Finish up your sightseeing early on the 23rd (Tue) so you can travel back home.